You can’t help but be curious of what this place is when you drive by and see the name. 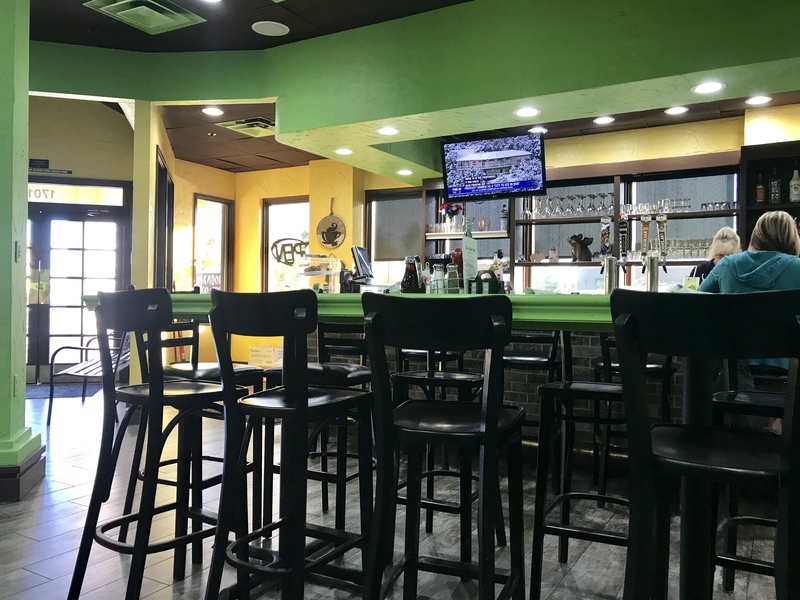 The Oink Cafe is a locally owned modern style cafe that serves both breakfast and lunch. 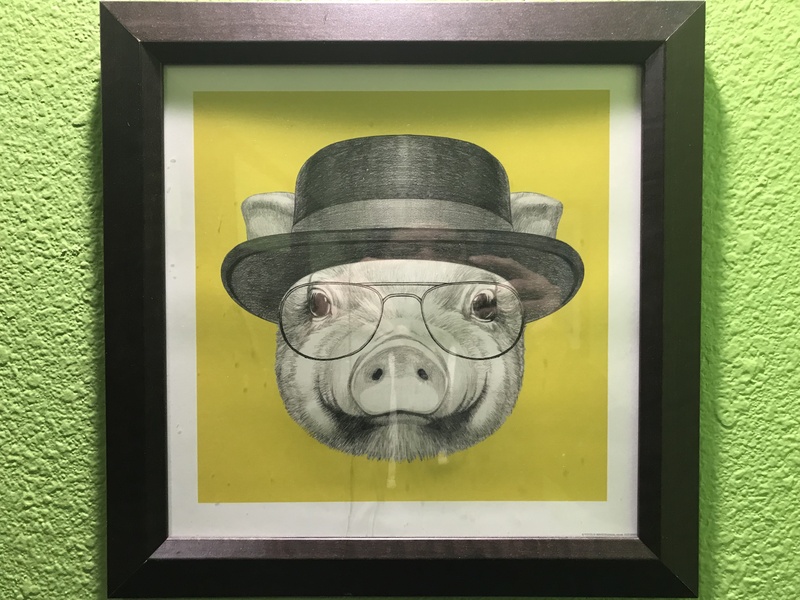 The things that make this place stand out is their cocktail and espresso bar that includes a Bloody Mary flight, a 50-50 burger (half beef, half bacon) and of course everything bacon included with many of their entrées. 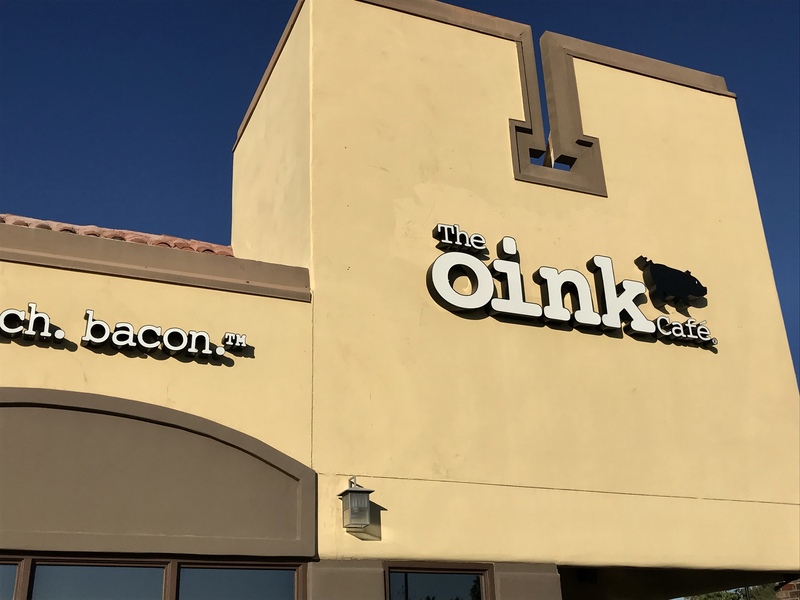 They have eight flavored bacon choices (pepper, applewood, jalapeño, hickory, sugar-cured, apple cider, honey-cured, and chef’s choice) that can be ordered as a flight or included with one of their meals. 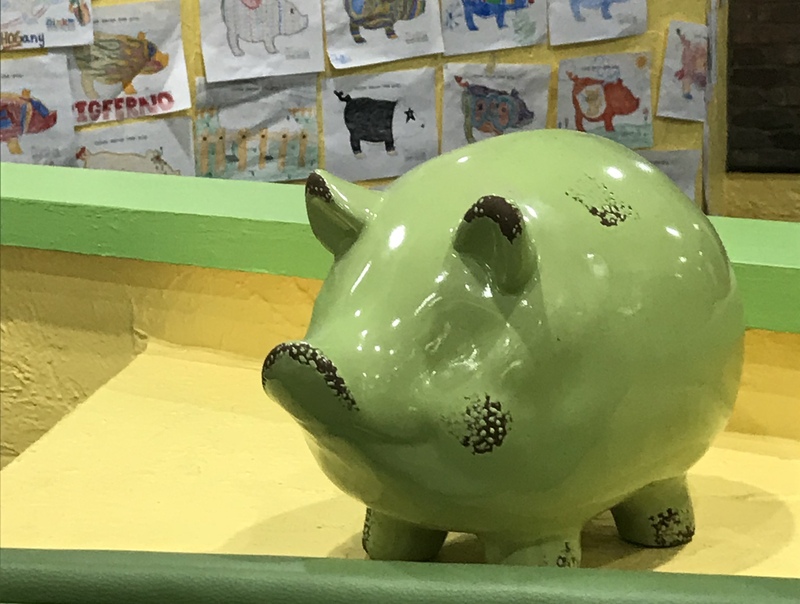 The cafe isn’t incredible large, the walls are lime green and the decor includes paintings and mini statues of pigs. Also hanging on the walls are coloring sheets colored by kids (kids eat free M-F with an adult entrée and 2 beverage purchase if they color a sheet). 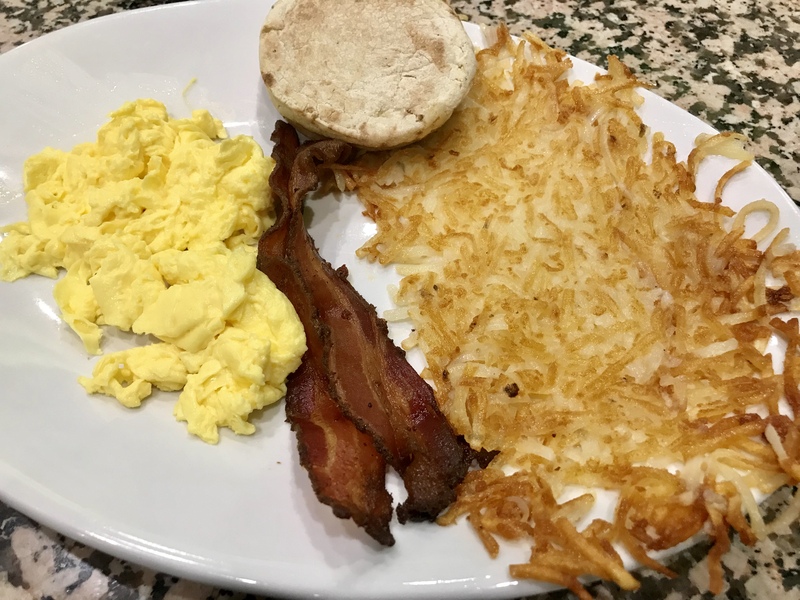 Breakfast includes a variety of omelets and benedicts that are centered on bacon. Prices I would say are a tad bit higher than most breakfast places. The 8 bacon flight will run you about $11, which I think it pretty high for a side bacon (even flavored bacon). They offer 4 slices for $6. I got the jalapeño bacon per my server’s recommendation with my breakfast. I enjoyed the spiciness of it but wasn’t particular overwhelmed with the bacon itself. I guess if you are going to advertise yourself as a bacon joint I was hoping for some good-sized slices of bacon. My service was decent considering my server was covering quite a few tables. I didn’t try one of their popular Bloody Marys so I didn’t get the full treatment of this place. But overall I found Oink Cafe a fun concept with a possibility for a revisit in the future. Btw… they offer a free Best Maple Bacon Donut on your bday.